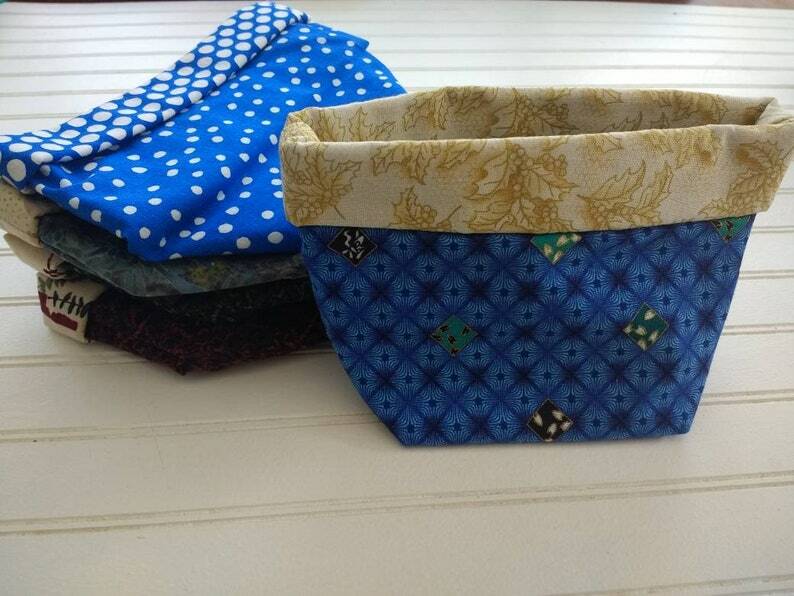 Flexible fabric basket measures approx. 6" at its widest and approx. 4" tall. Basket is fully reversible. Simply unfold top, turn inside-out and re-fold down top edge. Height can be adjusted by folding top down more or less. Basket can be used as a thread catcher, for holding accessories or baby items, or can be part of a fabulous host/housewarming gift. Basket folds flat for easy shipping and storage.